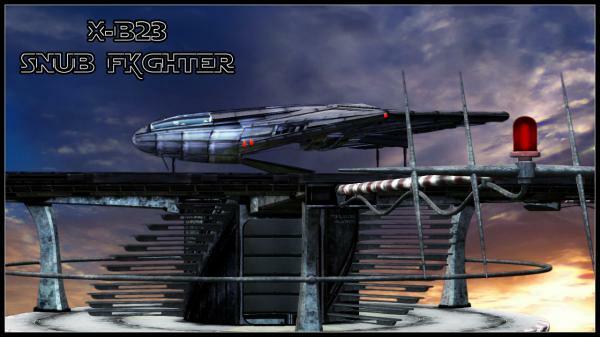 This is my X-B23 Snub Fighter I had in the Marketplace a few years ago, but was discontinued. I decided to place this one up in the free section should be up there in the next day or so. DrLincoln (2 years ago) Inappropriate? Ajaxx (6 years ago) Inappropriate? clelljoseph (6 years ago) Inappropriate? McGheenie (6 years ago) Inappropriate? Greymom (6 years ago) Inappropriate? Jaguarry3 (6 years ago) Inappropriate? HectorNY (6 years ago) Inappropriate? Thanks a lot. This is going to look awesome in my sci-fi renders. fantascopefilms (6 years ago) Inappropriate? Ok folks, download link is up! Thanks for looking guys. I'm trying to add the download link, but it keeps timing out before it's finished. Please be patient. If it still timing out, I'll add a direct link from my ftp server. bt123456789 (6 years ago) Inappropriate? looks awesome, thanks in advance. and, to drpochi, its' written in the description that a link will be posted in a day or two, be patient. I look forward to it, it is quite the gift, Thank you.